Let's start at the beginning...what is yoga anyway? The word yoga means unity or to yoke together. The practice of yoga "yokes" or brings together our body and mind. Yoga is built on three main components: physical postures, breathing and meditation. Wait right there. Did I just say meditation? I get it. Meditation can carry some baggage, especially with the emphasis some eastern religions put on mediation, but it's important to remember in this dialogue - and every dialogue for that matter - context is important. When I'm using the word mediate, I'm using it as a transitive verb, borrowing from Merriam-Webster's definition: "to focus one's thoughts on : reflect on or ponder over." // We meditate (transitive verb) on God's word (direct object). ​This is actually an important distinction as we think about yoga. In a Christ-centered practice, we don't meditate for the sake of meditating or to empty our minds, but rather we focus our thoughts, reflect on or ponder over...God's word. In a Christ-centered yoga practice, our meditation is inspired by God's word. So now that we have the basic components of yoga (body postures, breath and meditation) - I'd like to share why yoga has been such a meaningful and powerful practice in my own life and why I'm passionate about bringing that experience to others. Christianity can be very "heady." What do I mean? Many religious people know the right answers, but those answers don't necessarily impact their lives. Perhaps they were raised with a heavier emphasis on religion or tradition than on relationship. They understand religion in their head but it hasn't necessarily made that 18 inch descent down into their heart. There's this disconnection between their faith and their life, their belief and their actions. But what if the practice of yoga can actually start to bridge that gap? To yoke together head and heart, body and soul, faith and actions. In many of my classes I tend to say..."what we work out on our mats, we can carry with us into our lives." There's something powerful about connecting our movement with our breath, with our mind. As an instructor, I might be teaching a class about the need to surrender (maybe surrendering the need to control) and while my words might challenge people, if I link those words with a physical posture of surrender - suddenly that becomes a more holistic experience. We're not just talking about the need to surrender, we are physically surrendering. And maybe...just maybe that head knowledge can start to trickle down and begin to close that 18 inch gap. And this is true of the instructor, as much as it is the participants. Often where the Lord leads me to teach...is where He knows I have something to learn. We're all on the journey together. Join me next time as I dive into teaching and participating in secular (non religious) yoga classes. 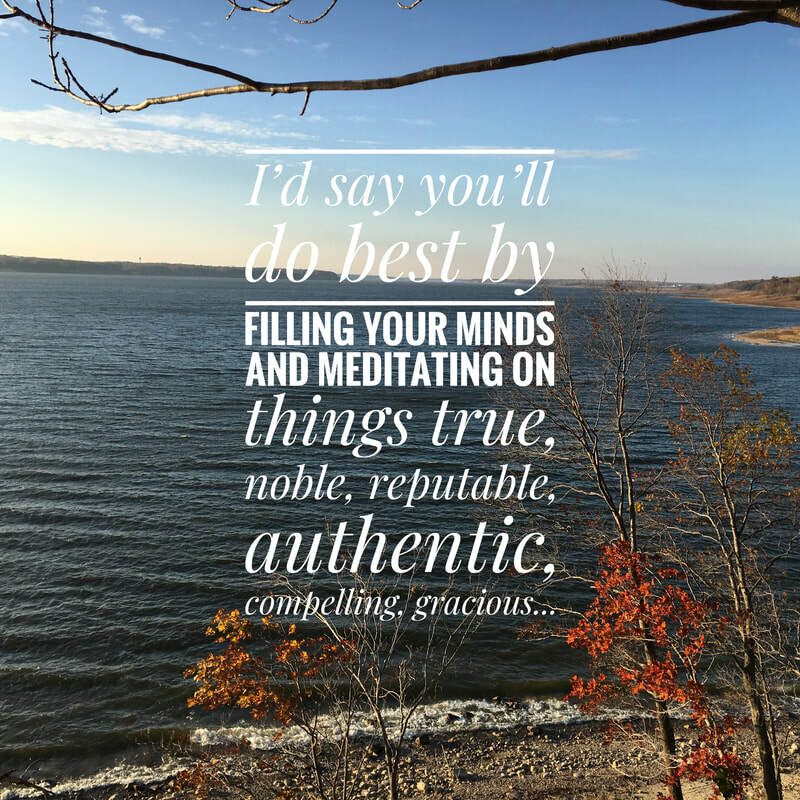 Summing it all up, friends, I'd say you'll do best by filling your minds and meditating on things true, noble, reputable, authentic, compelling, gracious - the best, not the worst; the beautiful, not the ugly; things to praise, not things to curse. Put into practice what you learned from me, what you heard and saw and realized. Do that, and God, who makes everything work together, will work you into his most excellent harmonies. Can Christians do yoga? Should Christians do yoga? I hesitated as my eyes begin to slowly gaze around the room. Irrational skepticism filled the pause, "had someone put her put her up to this?" I wondered. She had no way of knowing that I was in the middle of wrestling this topic to the ground. And when my gaze finally settled back on her face...I could see her expression carried nothing but innocent inquiry. She simply wanted to know my perspective. It's a study I've done before...before deciding to pursue my instructor certification, but fresh dust had been kicked up...which warranted a fresh examination a little further along in the journey - now serving as an active instructor with nearly 2 years of experience under my belt. If you know me, you know that I take following Christ very seriously and believe what the Bible says is wholly useful and true. That doesn't mean that I live it out perfectly, but dang it, I try (and I never tire of grace). So if I'm ever questioned about whether something I'm doing or saying doesn't line up with the Word of God or character of Christ - I pray I will always remain humble and allow God to come in and do His refining work. So yes...when the dust flies...I think it is important to engage in the discussion. To address the question here, I'll share a short series of blog posts. In no way will I touch on every aspect and I might not do it with the eloquence of a theologian, but I will do it with sincerity, genuinely seeking Truth. I hope it will bring some understanding, common language and mutual respect. Like everything, I think it is important to critically engage with our faith and culture and realize that even when we do, we might interpret things a little differently and be convicted by the Holy Spirit uniquely - all the while serving the one true God. First things first - let's realize that we have people on both ends of the spectrum and everything in between. On one end there are those people, including Christians, who don't realize there is a controversy, wondering "isn't yoga just exercise?" And on the other end are those who believe yoga is in direct contradiction to the Christian faith due to the spiritual influences and ties to Hinduism. Where do I land on that spectrum? Tune in next time to find out. Just kidding - I'm somewhere in the middle and I look forward to the dialogue. Do you have specific questions? Please join the conversation - email me and I'll try to address the big questions I receive throughout this series. I laughed when I said I could write a book….“How to go from single to empty nester in less than 5 years.” I wasn’t serious about the book idea, but…I probably could write it. I lived it anyway. “Empty Nester” makes me feel so old…and if I’m honest, a little lost...and considering buying a dog for the first time in my life – because apparently that’s what empty nesters do. Because they are my step kids...and I’ve only known them as teenagers, I didn’t think the transitioning season would affect me…not like “real” moms. Moms who you know…knew their children as children. Alas...transitions have a way of sneaking up on you and bringing an entourage of emotions. And I’m sitting squarely in the middle of them. Something my husband has learned about me in our almost 5 years of marriage – I don’t do transitions well. But the funny thing is, I think I do. While the general population may struggle with change – I welcome it. If some change is good, more change is better – so I throw gasoline on it. We all have our way of coping. But, I’ve realized it isn’t always healthy...some embers were merely meant to smolder...not rise up into a roaring flame. Let me explain. When I got married, moved 3 hours west and swapped “single” for “stepmom,” I was virtually unaffected. Or so it seemed. Except the fact that I subconsciously translated domestication with a lost sense of purpose. How was I to save the world when I couldn’t even figure out what was for dinner (much less cook it)? So I tried to join the National Guard. Yeah. And it turns out...I was too old. I’m telling you this now because enough time has passed that others should laugh at the absurdity – as my husband and I do (now). Change was throwing me off balance, so I figured I’d jump and add fuel to the fire. God graciously brought my feet back to the ground (although the age thing kind of stung). Today I find myself amidst transition again...which wasn’t going to affect me. But it is. And so I’ve begun, searching, grasping for the Next. Big. Thing. What purpose can I champion? What mountain can I move? I wonder if I’m alone. In seasons of transition...how do you cope? From the floor of my prayer closet, knees bent low. I asked for my mountain. The impression that this next season isn’t about doing – it’s about becoming. Purging some things from my heart that I’ve let creep in. Loving better. Returning to the Lord as my comforter…my first love. I’ve already asked you to do some quieter things. Start. There. The mountains will wait. So it seems, this next season isn’t about doing – it’s about becoming. What transition is before you? Are you like me and beginning to scramble as you look for the next big thing? There’s certainly a time for doing. But before we get into the doing – perhaps it’s time we pause and pay attention to who we are becoming and simply do the small things the Lord puts before us today. He does great things…we do simple things. He says to the snow ‘fall on the earth’ – and so it falls. He says to the rain shower to be a mighty downpour and so the clouds burst forth. There is significance in being insignificant. We change lives when we become who we really are – and allow the Lord to use us. Not when we go out to change lives. What has the Lord set before you today? Who are you becoming? *Cecil Murphey has written or co-written more than 135 books, including the New York Times bestseller 90 Minutes in Heaven (with Don Piper) and Gifted Hands: The Ben Carson Story (with Dr. Ben Carson). She kneeled down in front of me, where I was seated on the floor of our cabin. We were at 7000 feet in northern Arizona, but she got low. Eye to eye. She whispered, gently..."I see you"...our breath filling the silent space between the pause until once more she spoke..."I see you." My eyes welled with an unplanned physical response as I considered the suddenly present emotional one. We were attending a Holy Yoga retreat where I was finishing my 225-hour training to become a Registered Holy Yoga Instructor (R-HYI). Also, an unplanned, yet extraordinary journey. As a veteran Holy Yoga instructor, she was serving as a mentor for a small group of us Midwest girls who were going through the certification process together. She was the instrument the Lord used to deliver a message that I needed to hear. You don't have to be awesome. Because you serve the One who is. The One who is capable, who is good, who is all-knowing and powerful. The One who is more than enough. You serve the One who is able. You see, it's not about us...it never was. It's about Him. His grace working mightily through us. So relax, exhale. You don't have to be awesome...because you serve the One who is. I'm officially teaching a few Holy Yoga classes in the Des Moines area - I'd love to have you join me for a class! More details on my Holy Yoga page. Remember, you don't have to be experienced or awesome...just show up and be present! Last night, I sat across a cup of coffee from a friend and dear sister in Christ. In the age of Facebook, it’s no secret, today is my birthday, and since I’m tickling 40 and sleep has become an increased priority, that evening coffee was a decaf. But let’s not get in too big of a hurry; I’ll be hanging onto my 30’s for another couple years. We chatted about the various struggles and trials that we have faced, and those whom we love are currently facing. We’re in a small group together, which is church-speak for a group of people who have committed to intentionally “do life” together. Our goal is to gather weekly to share stories, meals, study the Bible and pray for one another, although I admit that sometimes weekly becomes monthly in the busyness of life. It is ironic that when I first came to faith, I was a self-declared “small group dropout.” I was restless gathering together with a group of people to talk about the Bible when I would have preferred to simply be out doing what the Bible said. I often love God’s sense of humor, for that small group dropout is now the Director of Support and Small Groups at her local church. I’ve noticed a pattern in my life – being thrown into the fire is often how God refines a stubborn girl. I’m not saying small groups are the end-all-be-all to your faith, but I think they do teach you something about the community God designed for us to live in; being committed to one another, to share in each other’s joys and carry one another’s burdens. A place that doesn’t hold judgment, regardless of your struggle or sin, but a place that simultaneously holds and challenges you to live to a higher standard. A place filled with grace and love. But that doesn’t necessarily happen seamlessly or even naturally – it takes intention. We have to be intentional about opening ourselves to live authentically with one another, taking down the facades that we may have constructed, and giving people the authority to speak honestly into our lives. The beauty on the other side of that invitation, are companions for the journey – a tribe of belonging. 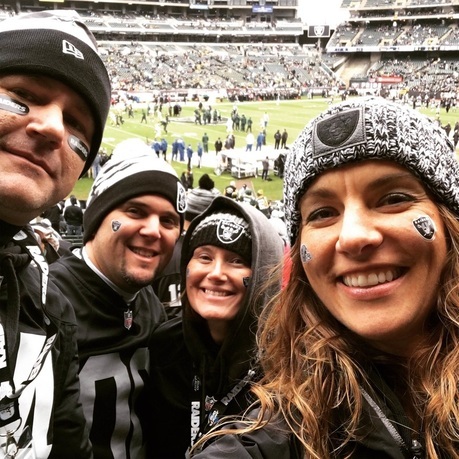 We are currently in a season of walking alongside some of our tribe as they journey through a season of dealing with the realities of childhood cancer with their son. I woke up this morning to receive a text from his sweet mama, sharing a video of him singing Happy Birthday, scars fresh from the last surgery, hope still strong. Oh. My. Heart. But if their hope ever falters...may they find strength in ours, for we were not meant to walk this life alone. ​I don't know what the year ahead will hold, each year tends to dole out its fair share of joy and affliction...I glance up from my keyboard as the sun shines through my kitchen window and there it is...truth resting on the rugged floating shelf that my husband lovingly hung...regardless of what the year holds, may we all remember to be joyful in hope, patient in affliction, faithful in prayer...Romans 12:12. Finding your tribe: For those in the Ankeny area, who may call The Ridge your church home, learn more about joining a small group! Please join us to pray and follow Hudson’s Heroes. Chaffer Farms. Photo Credit: Emmilou Harlan. I’ve been watching the clouds lately – noticing the way they are constantly moving, shifting, changing. Never still. Always painting a new canvas across the Iowa sky. Clouds make me happy. Most of the time. Living under the cloud. Seemingly disconnected from the Son. I recognized the disconnect. The void. My heart…detached. I simply wasn’t sure how to break the cover. If only I were faster, perhaps I could outrun it? I know you non-runners may roll your eyes…but I actually find running to be therapeutic. I don’t obsessively run, or even competitively run. I merely run for the sake of enjoyment, and sanity. Many a problem has sorted itself on a mile left behind. And thanks to a Black Friday treadmill special, I can now log some winter miles in our basement. You have persevered and have endured hardships for My name, and have not grown weary. Revelation 2:3. God used Jill Holler’s words in her devotional, Life in His Hands to confirm what He was speaking in my heart. And just like that – I felt the clouds part. I felt a lightness, which I hadn’t felt in a long time. It wasn’t a change in my circumstances, but a bridge across the separation. I realized in that moment that it was the silence more than the circumstance, which had defined the trial. I was hit by the weightiness of this claim. I had been defensive. For years. Ever since He answered a prayer differently than I thought right. I’d remained faithful, but defensive, as if I'd negotiated the terms of our relationship...I’ll trust you…at arms length. But God isn’t a partial God. Return to me…with all your heart. Joel 2:12. The sun is shining brightly this New Year's morning! The clouds are present, but the sun has broken through. His Son's likeness breaking through in me...in you...if indeed we share in His sufferings. Romans 8:17. ***We just returned home from church where the pastor invited us to extend our arms forward, palms up and receive the gift of 2017. Yes...let us trust the Son is always present above the clouds and receive all that 2017 has in store! Here's to 2016 - a New Thing! Accepting a new thing, often means letting go of the old. But oh how stubborn some dreams die. I've walked through a challenging season in 2015 reorienting to new realities and dreams that look different from those once imagined. In many ways, the realities are greater, yet in others, they feel less; perhaps the less merely reflects the different. My faith journey has largely been marked by radical obedience and what I can only describe as supernatural faith (for I know it doesn't entirely come from me). But for a portion of 2015, it seemed every prayer bounced off the ceiling, God felt distant and as a result I allowed a bitter seed to take root. While bitterness promises to console, it never actually satisfies. Wallowing in this state, I sat across from a fellow Jesus lover who is marked by a similar faith to my own. 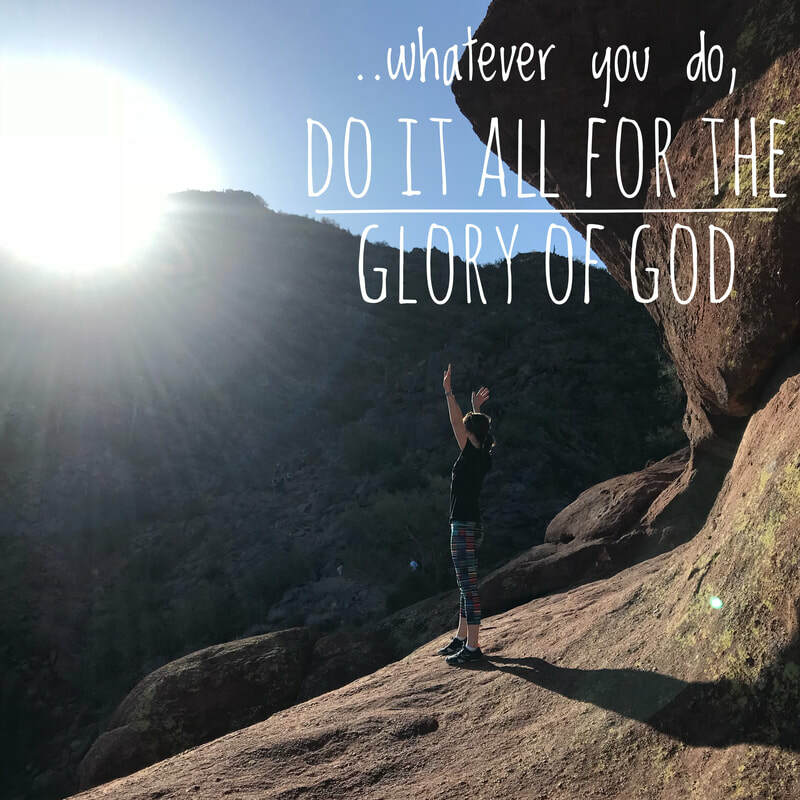 I not-so-humbly confessed "I'm not supposed to struggle in this way, wrestling with these feelings of indifference and doubt, I'm supposed to be on fire for the Lord, willing to walk through any trial." I guess I somehow thought myself immune to humanity. I assure you, I. Am. Not. I've heard plenty of testimonies where people have walked away from their faith due to hard circumstances, unanswered prayers, healing that never came...devastating loss. Having danced with doubt, I understand the reversal. In bolder times I actually prayed to give God "permission" to use whatever circumstances He needed in my life to bring the most people to Christ. This may seem like a noble pray from the mountain top but let me tell you, it is a devastating reality from the valley; suddenly backpedaling, "anything but this." Nevertheless, the valley continues to be my most sacred training ground, the place where the Lord shows me more of His faithfulness and the depth of His goodness, if only I can muster the strength to trust in His promises. It is here I find the courage to pray that prayer...again. Trials included, I realize I've lived a rather favorable life and most days I look around at the blessings He has given me, in awe of His provision, protection and forgiveness. But we all have our battles, our heartaches, our unspoken or unanswered prayers - desires we carry in the hidden depths of our hearts. And in each of those places, we find fertile ground for pain; pain if left unchecked can easily sprout into bitterness. Instead...what if we trust Him and allow Him to till up our soil and sow a new thing? In 2016, I'm choosing to believe the Lord can deliver us from those hard places (even if his delivery looks different from how we've imagined) I trust He is doing a New Thing. ​He who made a path through the mighty waters shall make streams in the wasteland. I wonder...will you meet me here - in this place of trust, forgetting the former, laying down our expectations, and freeing us up to receive the new. ​By clicking ‘join’ you will receive emails from me and get updated when there are new blog posts., yoga classes and fun! Thanks for stopping by - I'm glad you're here! Hi - I'm Brandy. I'm a farm girl at heart, but currently hang my hat in suburbia. I love my family and the roots they gave me...roots which provided enough courage to fly. I fell in love with Jesus in my twenties followed by Africa and my husband in my thirties. I'm fascinated by the tapestry God is weaving with our lives and the purpose behind each of our unique threads. I'm passionate about moving people closer to who they were created to be...closer to Him.